Download this eBook about olive oil at no cost or obligation. Did you receive olive oil that is frozen or solidified? 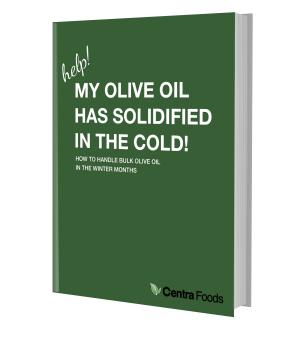 In this eBook, learn how to handle your olive oil in those cold winter months. Even if your oil is solid like butter it is still good quality -- it just needs to be brought back to a liquid. To download the eBook, fill out the boxes to the right and click the green button to access the information.